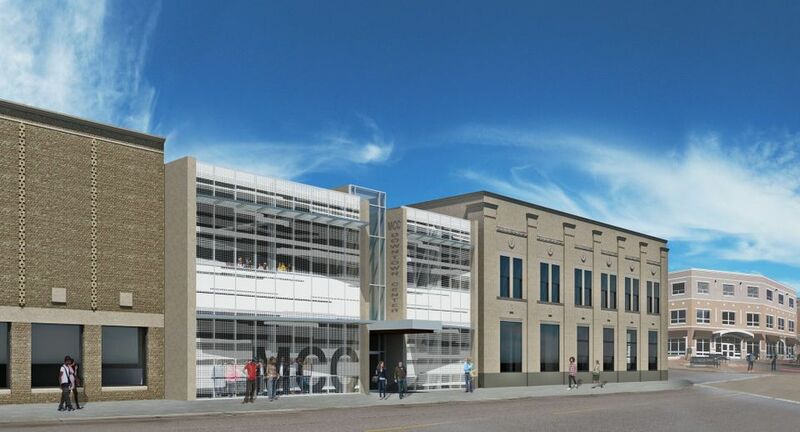 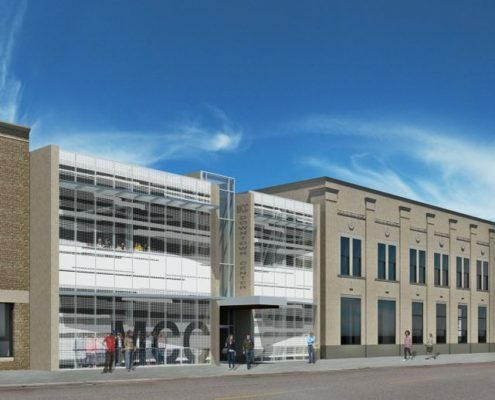 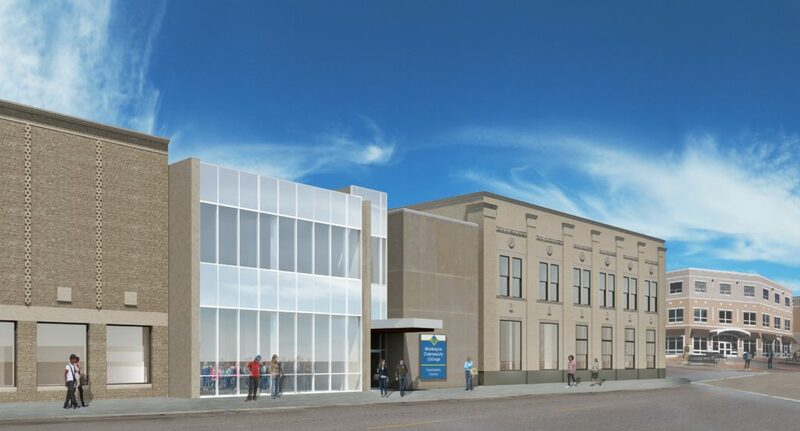 Muskegon Community College purchased the former Muskegon Chronicle newspaper building and the adjacent Masonic Temple to be renovated for the College’s entrepreneurial studies, applied technology programs and a prototype development center. 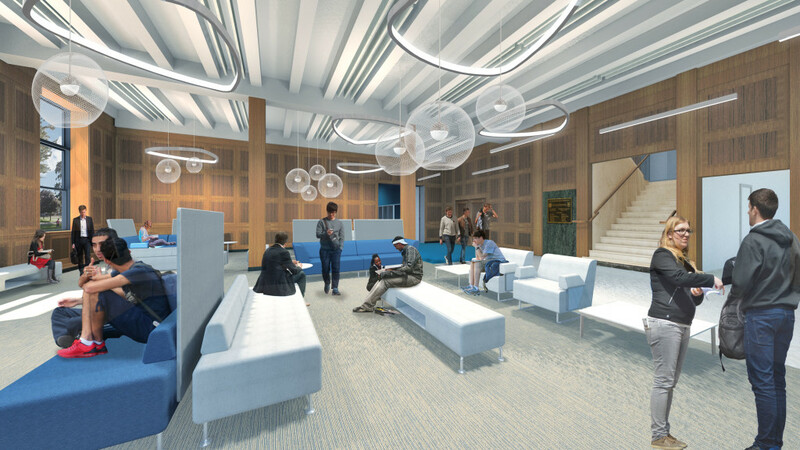 The Center will house the prototype station; fabrication, welding, automation, electricity and machining labs; a robotics center partially funded by Alcoa; and classrooms and faculty offices. 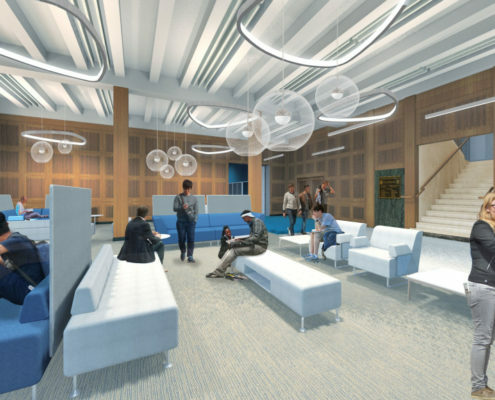 The lower level will offer rentable entrepreneur office space. 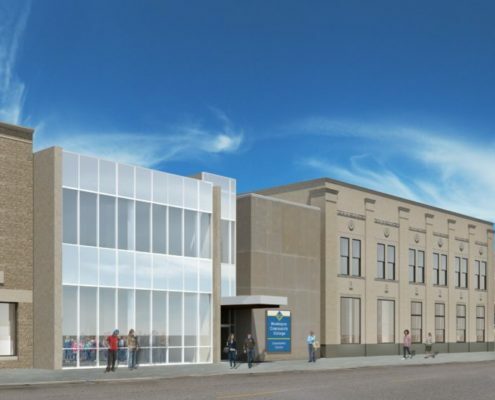 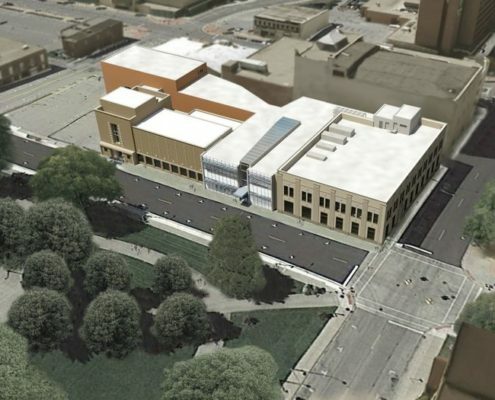 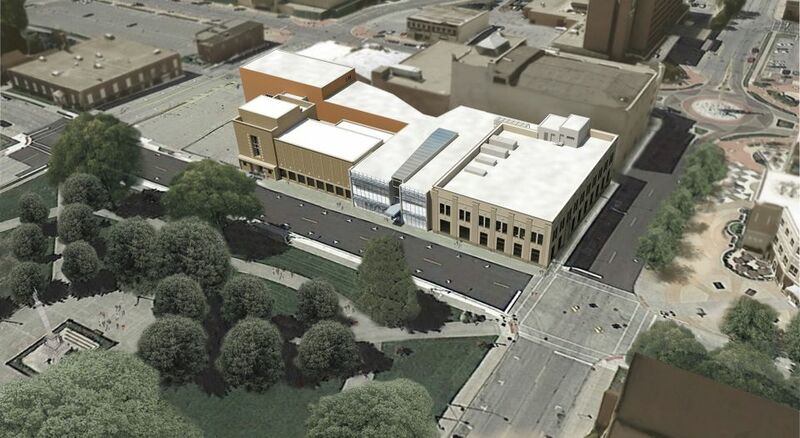 The former Masonic Temple portion of the building will house the The Rooks | Sarnicola Institute for Entrepreneurial Studies, which will include a fabrication lab, a youth entrepreneurial space, Best Financial Credit Union and a Barnes & Noble bookstore.